Honesty is the best policy, they say and it is even more helpful and great if one is honest with themselves first. Not many of us are honest to ourselves and that is what creates the majority of the troubles in one’s life. It is said that one of the most difficult things to achieve in one’s personal life goal is to be original, humble and yourself. 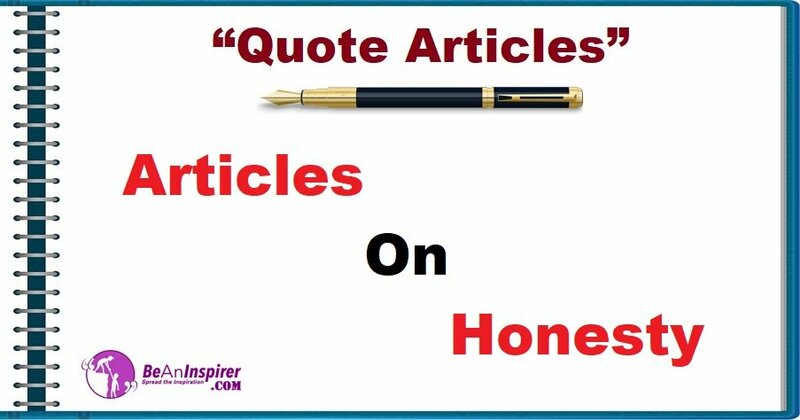 The Articles on Honesty in the Quote Articles section speaks volumes about how it is absolutely necessary to be humble, honest to your own self and to the universe for the greater good, combined with beautiful photographs on nature.